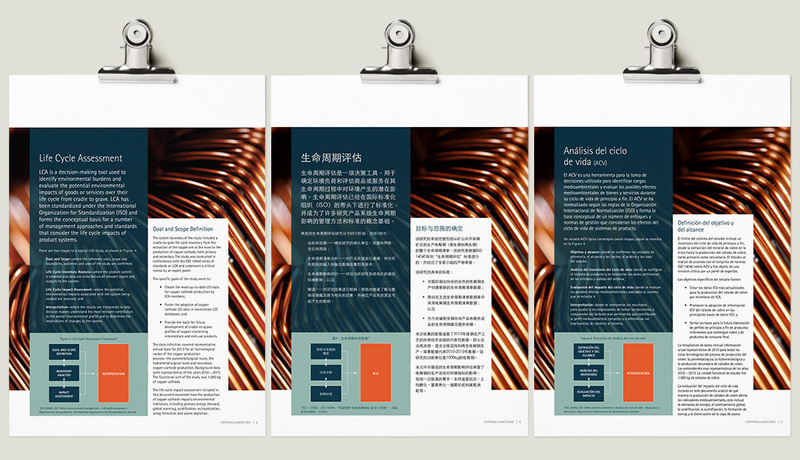 International companies often need materials available in multiple languages. Is there a magic wand that can instantly translate your piece? You can Google that, right? Don’t worry, it doesn’t take magic, but it is smart to put some thought into the process to save yourself time and money. There are two important pieces to consider when having a piece altered for a new market: translation and design. Both the translator and the designer can combine their superpowers in order to provide a professional, culturally accurate piece for your audience. Provide your translator the final, approved design to work from. Once text is flowed into a design, final text edits are completed within the design. If the translator is working from an original version of the text, all of those corrections will need to be re-done in the new language, adding time, cost, and most-importantly, a margin for error. In fact, any time a document can be translated directly within a final, designed pdf, you will win major points with your designer – but understand that not all translators work this way. Ask your translator to use visual cues, if necessary. Any kind of visual cue that can help the designer keep track of where the text is in the document is going to make the process that much more organized. Does every page in the design start with a green headline? Make that text green in your translated document. Are the pages flowing differently in the translation? Add a note to show where each page should end according to the design. Keep in mind that your designer may not be fluent in the language that they are now working in. Seeing these types of cues can save a lot of time and cost when flowing large amounts of text. Have your translator be on the lookout for elements that may have different meanings in other cultures. Often there are cultural differences in the usage of colors, graphics, etc. The last thing you want to do is send a piece out that will read in any sort of off-putting way. Is there a photograph that won’t speak to the new audience? A simple swap with something more appropriate can save you a lot of grief, but these are things that a designer needs to know up-front. How much shorter or longer than the original is the paragraph length or word count of the translated portion? Care needs to be taken to alter sizing, spacing and other text features to make sure the content flows properly and keeps things consistent with the original version. It becomes especially important if there is imagery involved – charts, photos, and other graphic elements need to be viewed in the proper context. A specific page of content in the English version should mirror the content on the page in the translation as closely as possible. Does the translation need to read from right to left? Some languages must be read from right to left. Columns and page spreads need to be converted to read properly. Graphics and imagery will also need to be moved so that it stays near the text it is meant to be with. International audiences play an important part in the outreach of many different types of companies. With a little effort and the right design team in place, you can cover all the bases while keeping a consistent brand – whether you’re talking to those in America, or halfway around the world! Need a piece translated? Contact us for a consultation and we can get you moving in the right direction!